This report has been professionally converted for accurate flowing-text e-book format reproduction. 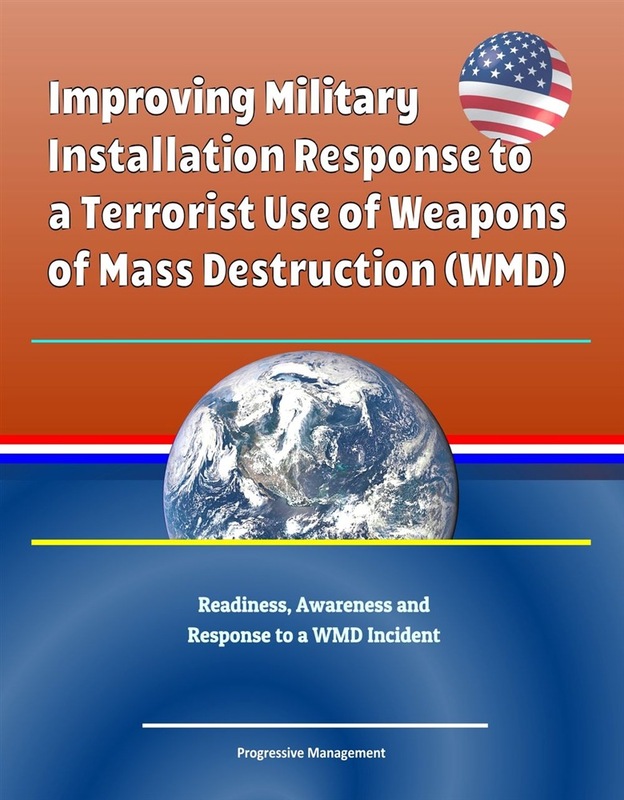 Most military installations are not well prepared to respond to a terrorist incident involving Weapons of Mass Destruction (WMD) at the installation. A study commissioned by the Department of Defense (DoD) in 1997 looked at the effects of the use of a WMD by terrorists to see how this act interfered with U.S. forces in an ongoing operation in a forward theatre of operation. A follow on study by DoD looked at the effects of WMD at a Power projection platform that would potentially disrupt the reinforcing units going to a theatre of operations. Glaring deficiencies were discovered. The military installations were ill prepared to respond and resulted in inability to provide reinforcement support to operations in an overseas theatre of operations. Though the power projection platform problem is being addressed for those installations there is no current program to improve installation training or response. 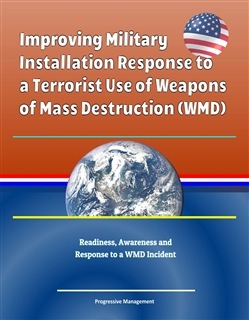 This Student Research Paper will address in depth the potential threat, analyze existing programs and provide recommendations to improve overall installation readiness, awareness and response to a WMD incident. With the realization that the United States and its citizens were extremely vulnerable to such an attack, Congress enacted the Domestic Preparedness Program under the 1996 Defense Against Weapons of Mass Destruction Act. This act was endorsed by the President to better prepare U.S. cities and its citizens to improve their capability to respond to a WMD incident. The Department of Defense was placed in charge of the program to help prepare the cities with support from all of the other Federal Agencies. At the same time the Department of Defense commissioned a study to determine vulnerabilities of military installations. This study was conducted by a group of retired General Officers that identified serious shortfalls and vulnerabilities at military bases both overseas and within the United States. Acquista Improving Military Installation Response to a Terrorist Use of Weapons of Mass Destruction (WMD) - Readiness, Awareness and Response to a WMD Incident in Epub: dopo aver letto l’ebook Improving Military Installation Response to a Terrorist Use of Weapons of Mass Destruction (WMD) - Readiness, Awareness and Response to a WMD Incident di Progressive Management ti invitiamo a lasciarci una Recensione qui sotto: sarà utile agli utenti che non abbiano ancora letto questo libro e che vogliano avere delle opinioni altrui. L’opinione su di un libro è molto soggettiva e per questo leggere eventuali recensioni negative non ci dovrà frenare dall’acquisto, anzi dovrà spingerci ad acquistare il libro in fretta per poter dire la nostra ed eventualmente smentire quanto commentato da altri, contribuendo ad arricchire più possibile i commenti e dare sempre più spunti di confronto al pubblico online.